It’s definitely going down. 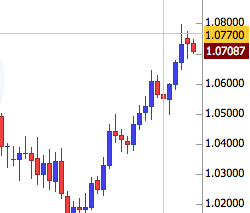 So I made “short” to enter the trade and hopefully get’s back with the results when I wake up by tomorrow. By the way, this is on daily chart. It’s better to trade in this chart for me so I don’t have to be afraid of the noise happening with candle sticks going up and down on fast charts. Currently at +25.0 pips. I’m short on this trade. I chose short because of the pinbar that’s been in a bullish trend. And I’m quite iffy about the candle that will form today. We’ll see. I see no reason to go long though. 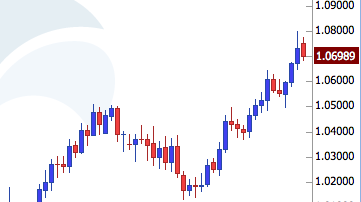 I exit the trade with 63.5 Pips. It’s a WIN. 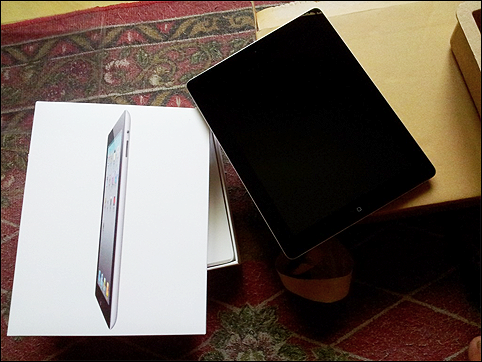 From my very good trade on EURCHF and achieving my First Forex Goal, came the reward, an iPad 2. I just got it this morning, just after I woke up. A very handy tool for forex trading. I can trade virtually on any position while lying on the couch. There should be another round of reward when I reach my 2nd forex trading goal. I still have no idea what kind of reward. What do you think should I reward myself with when I reach my 2nd trading goal? Leave your comments below…. I’ve been reading some beginner stuff about forex trading and one thing that caught my attention is that many experienced trader always advice not to trade on mondays. The reason behind this is because you want to know what will be the starting setup for the coming week so letting the first days alone is crucial. It also has the less volatility when it comes to pip movement. I don’t know… Since I started trading, I’m never been more excited about mondays. When I was still in a full time job, I despise mondays! But now, I’m excited and I can’t even sleep sometimes. What do you think? Do you trade mondays? One of my first question when I learned about trading or investing in general is that, “Which is better? Forex or Stocks?”. Though many people will argue that one thing is better than the other. I would like to give my opinion on this case. They are both great vehicles for making money and have a lot of potential in making you rich and we will tackle them in this post at forex philippines. 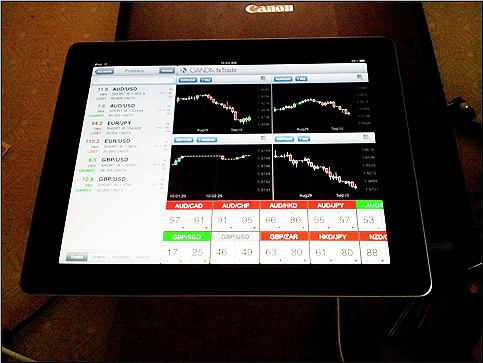 Forex market is The Largest Market in the world. The market is open almost 24hrs a day. When one market closes, other markets open, making it possible to have a continuous 24hrs operation. 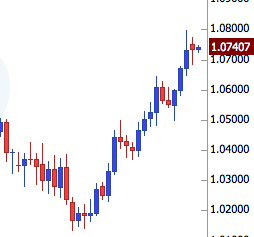 There are a lot of benefits trading in the forex market and one of it is being liquid. You are trading money with other money (currency) how liquid can you get? It is not like real estate where you can declare you are a millionaire but still you can’t even use that million unless you sold your house. Being liquid makes it possible for you to invest and reinvest money quickly. In Forex Trading, There is little to no intervention. Not like stocks, the forex market is too huge of a market and encompasses all of the nation’s condition and reflected it in their currency. Its not just 1 company we are talking about here. Its the sum of all businesses that a country have and their economic condition. Politics and current events play an important role in which non of them you can control. Little investment required. In trading forex, you don’t need to shed out a lot of money to start. Me and my friend started out $100, testing the waters and we continue to increase our funds as our experience increase. And with most brokers offering leverage, your $100 can buy 40 times more. Investing in the Stock Market for me is a long term goal as forex is a short to mid term. I think the volatility of the forex market makes it difficult for an average investor to keep the money for the long term as you will be stopped most of the time, if not margin called. In the stock market you can take advantage of dividends offered by companies, pay checks for you for investing with them. You can be the top head of that company just by buying majority of the shares. These are all wonderful perks of stocks. But what keeps me from investing money here for now is the fact that it can be manipulated by people inside the company. Just as the popular movie “Wall Street”. We can not really say what is better or best in investing. It comes down to preference and your view of each market. One thing is for sure, if you have money, invest in both as they are great vehicles to earn money.